Mark studied communication engineering and started his professional carrier as a software developer at Siemens AG in 1997. In the following years he acquired profound knowledge about software development, from analysis to integration practices in the enterprise environment. After first inspiring experiences with agile methodologies he changed to the joint-venture of Nokia Siemens Networks (NSN) in 2007. He worked with different teams as a Scrum Master and from 2009 additionally as an agile coach within NSN. While coaching in Germany, India and China agile-offshore product development groups (Large Scale Scrum, more than 260 developers, about 28 Scrum teams), he was able to gain a lot of experience. 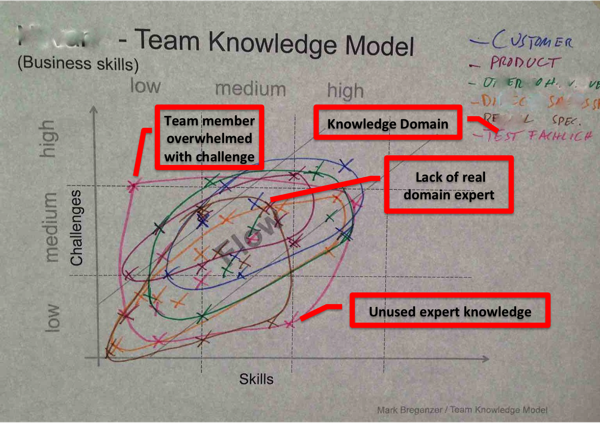 He created the Team-Knowledge-Model to visualize the knowledge distribution in a team. The team members can reflect on this model if they have the right knowledge in their team or if they need team external knowledge. Who can provide help? Who needs help? Afterwards they can agree on concrete measures to improve individuals and the team. 2011 he joined Valtech GmbH Germany and has been working as an agile coach for development teams, Product Owner and Management in the telecommunication-, automotive industry, insurance business, e-commerce and retail.